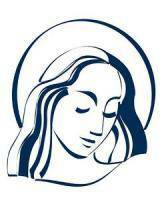 Are you new to St. Mary Parish, or just planning a visit? If so, we have answered some of the most frequently asked questions below! 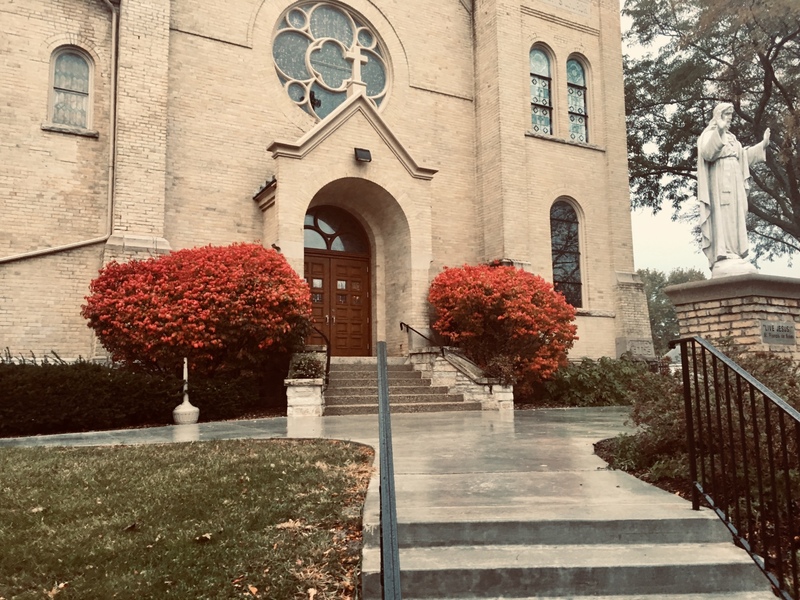 St. Mary Parish is located off of Main Street in Menomonee Falls, about 2 blocks east of the big “falls.” Our church is tucked back from the street, but you can see our large sign from Main Street. You can also access the church parking lot from Cleveland Avenue, Water Street, or Hayes Avenue. Ample handicap parking is available near the main entrances. The wheelchair entrance is located at the west entrance of the church (please note that this is the only entrance without stairs). There are wheelchair spots available in the church in the west wing. There are reserved pews in the front row of the main section of the church for those who need additional assistance. There are 3 restroom locations. Restrooms are located in both the east and west wing entrances. Additionally, there are restrooms located downstairs in our church basement that can be accessed by taking the stairs in the rear of the church. Babies and children of all ages are welcome and families may sit anywhere in our church. However, if you prefer, we do have a sound-proof balcony above the west wing where many families with small children gather. The audio from Mass is available in this space. A comfortable chair in the rear of that balcony and the one above the east wing are available for nursing. Also, Busy Bags for toddlers may be picked up and returned to the racks in the west and Cleveland entrances. The pews contain books with a selection of songs as well as readings and the service of the Mass. For some Masses, we may have a special booklet specific to that Mass, and these can be found in the pew. Our pews contain kneelers; we kneel during the traditional kneeling time of the Mass, after the “Holy, Holy, Holy. We remain standing for the “Lamb of God.” It is also good practice to kneel in a prayer of thanksgiving after receiving the Eucharist. Those physically unable to kneel may sit during the kneeling time. The chairs in the overflow east wing and several pews at the back of the west wing do not have kneelers, and we ask those sitting in this area to remain seated while the rest of the congregation kneels during mass. We encourage respectful dress for Mass and other liturgies and services. Our Sunday services are a celebration of Mass and include prayers, songs, readings from the Bible and a reflection on those readings. If you are not familiar with the order of Mass, the Order of Worship or the books in the pew racks can guide you. The celebration of Mass at Saint Mary lasts for approximately one hour. When baptisms or other celebrations occur, Mass may be extended. Except for exceptional personal reasons, it is polite to arrive before Mass starts and stay until the end of Mass after the priest and other ministers process out of the church. Please note: during holiday services and other special events, our pews fill up very quickly. We encourage you to arrive early for these services to ensure you can be seated comfortably. Additionally, during Christmas and Easter Masses, we may open up additional seating in the balcony above the east wing and overflow seating in our school Activity Center. The priest is the principal celebrant of the Mass. He is assisted by 2 altar servers. Occasionally, another guest priest or a deacon — an ordained man who is not a priest but who has the ability to preach in the Church and assist at the altar — also assist. Those people will be on the altar of the church during the entire Mass. Throughout Mass, Lectors will go to the sanctuary to proclaim those readings. The cantor will do the same for certain songs and sung prayers. Eucharistic ministers will gather around the altar before taking their distribution stations. Singing is an important part of our worship. A cantor leads the congregation in song, as well as sung prayers and an adult or children’s choir sings during certain Masses. We invite all to sing, regardless of your talent and ability! In the months before Easter, a group of people studying to become Roman Catholic may leave Mass mid-point to reflect on the Word of God as proclaimed during the first half of Mass. They are a part of the RCIA process. During the school year (September thru May), we host our Angel Academy in the basement of the church, (accessible through the Cleveland Avenue entrance) during the 8 am Mass on the 1st and 3rd Sunday’s of the month. Angel Academy is geared toward children ages 3-6 and offers Bible stories, arts and crafts, and other activities surrounding Catholic teachings. Monthly, we’ll have a baptism during Mass or a special blessing, such as for students, teachers, or those preparing for the sacraments. Collection baskets are passed person-to-person down each pew. The offertory is used to support the various ministries of the Church, including charitable outreach. Occasionally, a second offertory will be taken for a missionary or some other need. After praying the Lord’s Prayer, we exchange a sign of peace. The sign of peace is usually a handshake or, between couples and families, a kiss. If you are not comfortable with this gesture or have a bad cold, don’t feel obligated to participate; simply offer a nod and a wave. Roman Catholics not in a state of serious sin are those who choose to receive Communion. We use real wine, and believe the bread and wine to be totally transformed into the Body and Blood of Christ. Receiving the Eucharist is the climax of our prayer as Catholics and symbolizes and makes real our unity as a Church. At Communion time, ministers will bring the Body and Blood of Christ to various stations in the front of the church. We process from the pews to the distributor and follow the practice of bowing our head before receiving the Sacrament. The Body of Christ may be received in the hand or can be placed directly onto the tongue. The Blood of Christ is distributed in common cups; the distributor wipes the cup clean after each recipient’s sip. It is not appropriate to take a host and dip it into the cup. If you wish to bring Holy Communion to the homebound, before Mass please pick up a pyx (container for the Host) and bring the open pyx with you in line; the Eucharistic distributor will place the Host(s) in the pyx. Close the pyx, return to your pew, and after Mass, go directly to the person(s) who will be receiving Communion from the parish liturgy. A parish includes community life and it is sometimes necessary to include certain parish announcements after communion. We try to always keep this as brief as possible but sometimes this may be a little more extensive or even include a guest speaker. Please stay during this time so as to find new ways you can be part of this community. Each week the parish publishes a bulletin. It will be distributed by the Ushers when leaving the church. We encourage you to read it. It is the primary source of information on the life of the parish. You may also find the bulletin on our website. If you have questions about our parish or would like information on registering as a parishioner, please see a greeter after Mass or register online here. New parishioner packets are handed out in the Cleveland entrance following weekend Masses.